This rich dark chocolate bar has tons of flavour, with the addition of satisfying, crunchy almonds and juicy raisin pieces to create a brilliant combination of taste. These sweet and savoury additions accompany the bold dark chocolate taste brilliantly, achieving a mouth-watering flavour without the use of palm oil or any genetically modified ingredients. You won’t find any artificial flavourings, colourings and preservatives either; allowing each bite to release nothing but delicious natural flavour. Cocoa mass, sugar, raisins 12%, chopped almonds 8%, cocoa butter, butterfat (milk), emulsifier: sunflower lecithin. Manufactured in an environment where nuts, milk, wheat and gluten may be present. 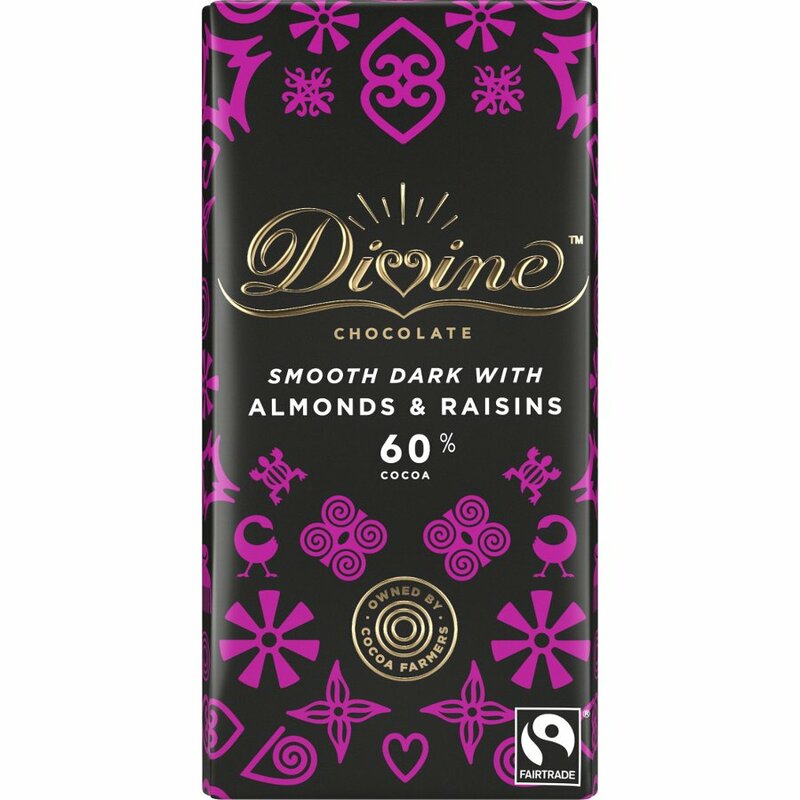 There are currently no questions to display about Divine Dark Chocolate with Almonds & Rasins - 90g.